Old leaves are retained over winter so provides a living barrier all year. Supplied as 10 x 1m bare root plants - to plant as soon as possible. 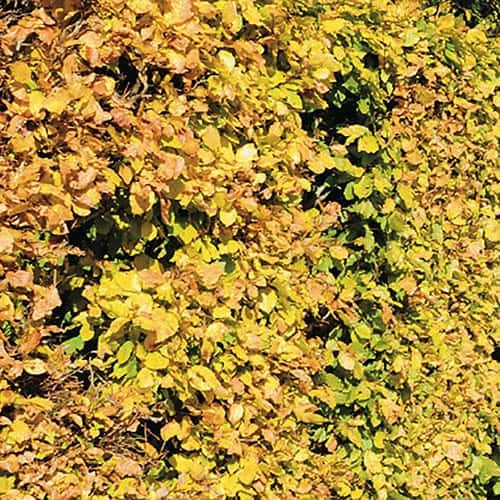 Beech (Fagus sylvatica) is a large, fast-growing deciduous plant which makes it one of the most popular garden hedge plants. Grown for its foliage Beech has yellow-green leaves in spring, turning rich reddish-brown in autumn retaining its leaves all year round. As well as creating a border to your garden, hedges are also great for the environment and wildlife, providing shelter and food supplies for many animals. Supplied as a pack of 10 bare root trees 100cm tall. Plant 30cm apart in rows.